Here’s the secret truth, (and there’s not a parent that doesn’t wish it): I wish parenting was easy. I wish it didn’t require so much of me, or rather that there was more left of me after the day was done. I wish that my children were angelic, obedient, and always eager to please. I wish my stubborn streak had skipped a generation. I wish that I knew what I was doing. I wish that formulas worked, or at least that what worked for one child would work for the next, or even what worked for my parents, or my best friends, would work for us also. But it doesn’t work that way—not even close. On the hard days, this parenting journey is enough to leave me in tears. On the good days, I feel quietly unsettled that I don’t know how to repeat the same result for another golden day. And more frightening than either of these two kinds of days, are the myriad more where I just don’t care. And I think it’s this secret truth, and perhaps even a secret belief that it should be easy that keeps us irritated, resentful, and weary when the days are hard. We somehow think parenting shouldn’t require this much of us. That it shouldn’t demand our all. We somehow secretly believe that we’re doing something wrong if our children don’t come out of the womb respectful, courteous, and pliant. We somehow believe the formulas should work if only we could find the right one. But God didn’t make parenting or children this way. He made this job of mothering and fathering into perhaps the most demanding calling we will ever know. We aren’t raising automatons. We’re raising born tyrants. And we’re doing all that we can to shepherd their hearts to God, so that somehow He might transform them into loving servant leaders. Given that I’m a reformed tyrant myself, is it any wonder that I still wistfully long for this whole parenting gig to run smoothly so that I could just have a little more time for me or get through my to-do list? But this isn’t about me, it’s about them. It’s about a million and one daily opportunities to teach, correct, train, model, plead, pray, and show forth His ways in situations as mundane as the snatched toy, the disrespectful attitude, the slowness to do right, and the stubbornness to turn from folly. We’re raising a child from utter helplessness to not just responsible adulthood (which is hard enough in itself), but hopefully to passionate Christ-centered living. This requires everyday, life-on-life discipleship and it demands everything of us. But too often, my mindset is reactive, not proactive. Too often, my mindset is one that expects this journey to be easy and so resents it when it is hard. Every calling worth pursuing is rigorous. I’ve never met an accomplished musician who didn’t put in grueling hours of work in the mind-numbing minutiae. I’ve never met a doctor who somehow skipped right through residency and long-hours of studying to an encyclopedic knowledge of their patients’ needs. I’ve never met an athlete who is unacquainted with sacrifice, pain, and self-discipline. And yet somehow, we think that this high and holy calling of caring, nurturing, and shepherding an eternal soul is something that would not demand our all. The truth is the more I embrace parenthood as a high and holy calling that demands everything of me the less I will grow resentful, frustrated and weary when it does. The more I believe the eternal significance of even my most mundane moments, the less likely I am to despise or shrug my way through them. When I greet my day believing my work is noble, I’m less likely to treat the precious persons entrusted to my care like burdens. When I see my work as opportunity after opportunity for instilling character and teaching repentance and faith, the less likely I will be to view such opportunities, and even my children as interruptions. 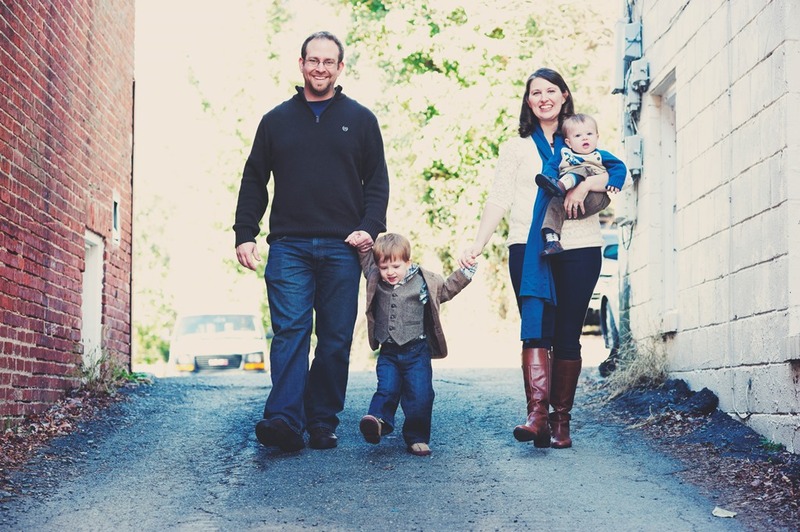 The most pervasive thing which I will leave behind to my children is my attitude toward them and toward this calling. It will permeate all their memories, even the ones that on paper should look flawless. One day they will not remember the day at the waterpark or the long-saved-for vacation; they will remember how they felt when they were with me. Did they feel the daily drip of my despondency over my mundane role or did they feel joy in my presence because I knew deep down my part mattered and their time under my care had eternal value? Did they feel I was constantly frustrated and annoyed with them for simply being children in need of training or that I was encouraged by the opportunities I was given to raise them up in the truth? Did they sense me trying to control their every move out of fear or feel the grace of one who deeply believes that God is in ultimate control? Whether or not they remember the waterpark or the beach vacation, they will remember my attitude toward them and it will color who they become. I pray to God for the grace to embrace this all-demanding work that’s been given to me with joy, purpose, and trust. Because it matters not just for them, but for me. I can muddle through the years of parenting, resenting every hard thing along the way or face those same challenges as one who lives expecting them, embracing them, and believing they are the true path to molding their character and my own. May God grant us grace and mercy; how desperately all who would take up the call of mother and father will need it. Like what you’re reading? 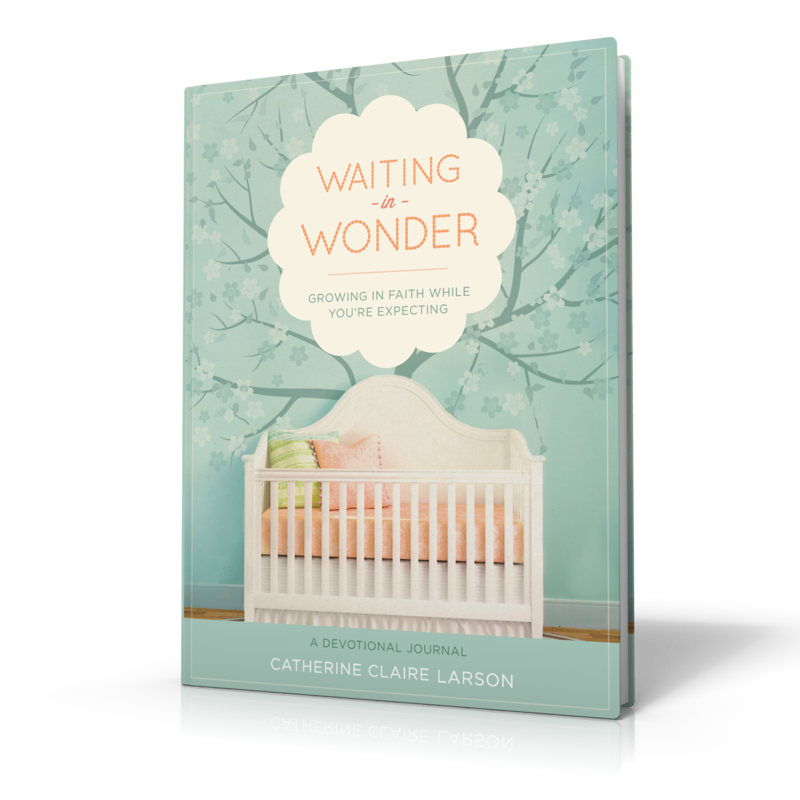 Consider subscribing to get these posts to your inbox and also check out my book for expectant moms: Waiting in Wonder: Growing in Faith While You’re Expecting, a perfect gift for any expecting mom you know. You can read an excerpt of the book here. And find out what writers like Ann Voskamp are saying about the book. Or if you’d like to read similar posts to this, check out “The Interrupted Life,” “Embrace Your Season” and “Not Enough“. Thanks for reading and sharing with your friends.